Ringed Teals are one of the smallest ducks in the world, reaching only a little over a foot in length. They are “perching ducks” – they have long, strong claws and toes for perching and nesting high off the ground in tree hollows. 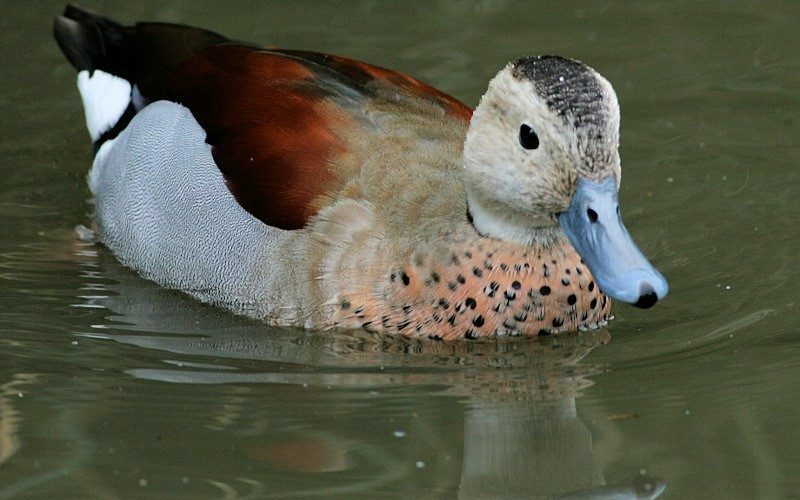 This species is considering a “dabbing duck”, meaning they are surface feeders that “dab” the water’s surface eating plants and seeds. They will dive to escape predators if necessary. After mating, a tree hollow well off the ground is found and the female lines it with her down. The chicks hatch after a 23-29 day incubation and are precocial, able to swim, walk and feed themselves immediately, although both parents with raise and defend the chick until they fledge (50-55 days). 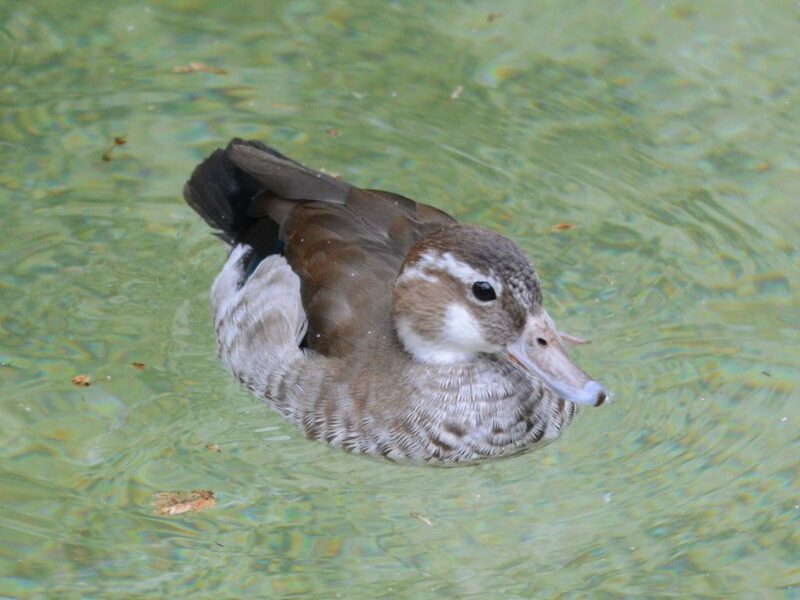 The scientific name for this species loosely translates to “beautiful duck with white wing patches”. The zoo has a male-female pair of Ringed Teals in the Tropical Rainforest building.